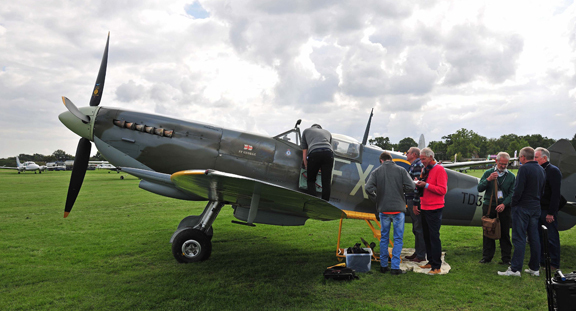 Sit In A Spitfire Your chance to 'Sit in a Spit'! 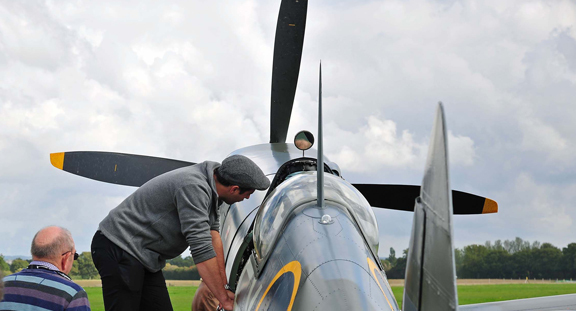 The perfect opportunity to pay homage to this iconic aircraft. 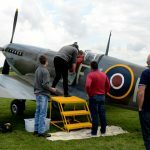 The Aerolegends Spitfire Mk IX TD314 St George is fully airworthy and used for popular flying events throughout the flying season. 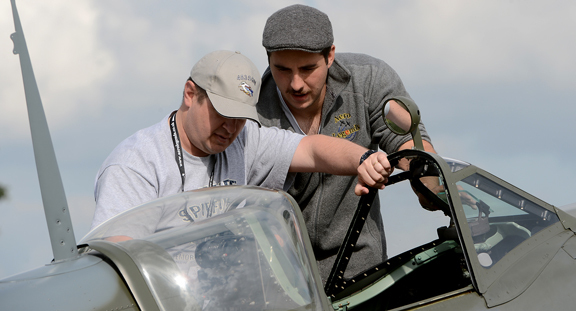 The Spitfire ground viewing experience is available at Sit In A Spitfire events held between April and October. Check the DATES page for the Sit In dates posted at the beginning of each year. 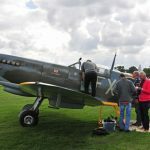 Sit in the aircraft and feel what it must have been like for those WW2 pilots who fought so hard in the skies over Britain. 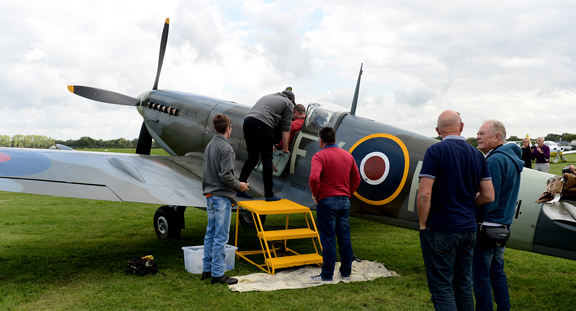 The sittings are hosted by staff members, who will assist you into and out of this iconic aeroplane. If you pass your camera device to our staff they will take a picture of you in the cockpit. 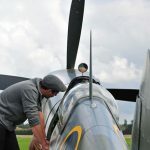 Or if you are bringing a friend, buy a Ground Viewing for them, so that your friend can also enjoy time around the aircraft and gather close-up photos of you to remember the special day.